"Kingston Trio" by Morehead State University. Office of Communications & Marketing. 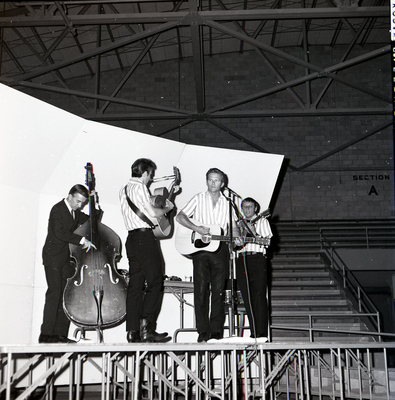 Kingston Trio performing at Morehead State University on April 26, 1966 in the Field House. The Kingston Trio members are John Stewart, Nick Reynolds, and Bob Shane from Standford University.